This is a Power Over Ethernet splitter to provide 5, 9, or 12VDC to the attached (non POE) device. Perfect for simplifying cabling and delivering power where needed. The PoE Receiver WT-CAT5POER fully complies with IEEE 802.3af standard. 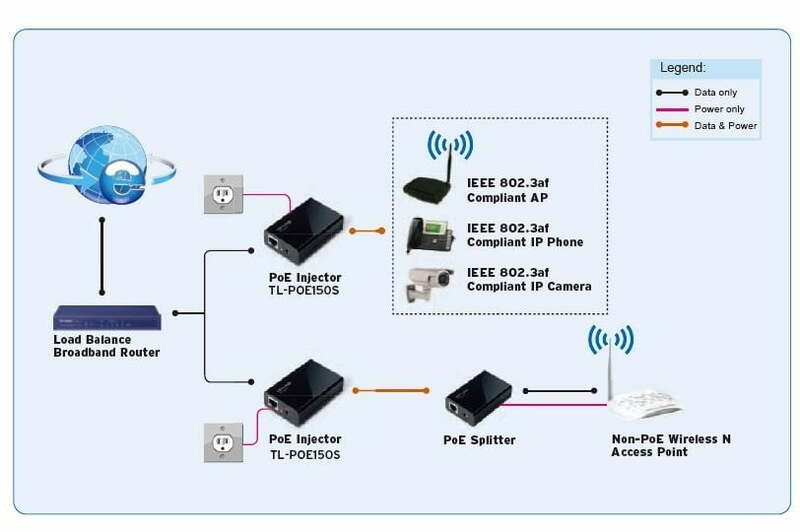 It can receive power and data from all IEEE 802.3af PoE compliant PSE (Power Source Equipment) or PoE Injector, then split electric power and data into two cables, so you can install the non-PoE devices like Wireless Access Points, IP Cameras or IP Phones, in remote locations where there are no power lines or outlets, where you wish to fix these devices.